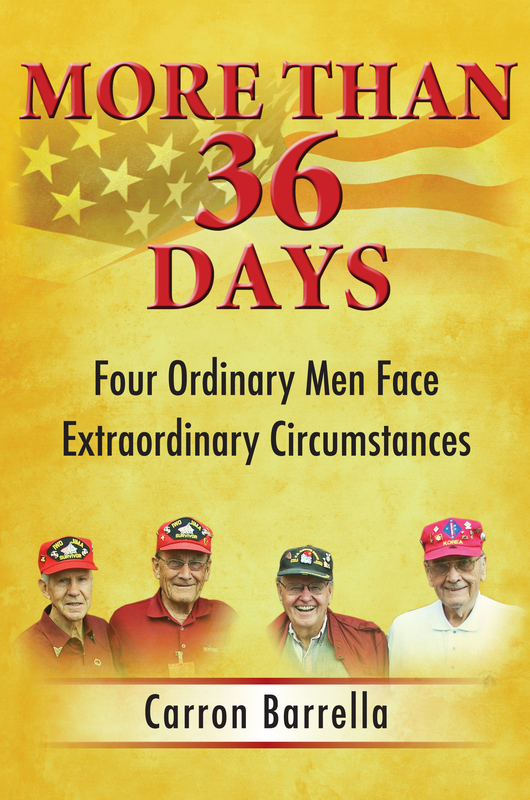 More Than 36 Days, the story of four WWII Denver area Marines has been keeping the author, CIPA member Carron Barrella busy since its release last July. On May 7, Carron and the veterans, WWII veteran Jim Blane, Admiral Winnefeld, WWII veteran Don Whipple, attended the ESGR (Employer Support of the Guard and Reserve) banquet where they presented Admiral Winnefeld of the Joint Chiefs of Staff (the nation’s 2nd highest‐ranking military officer) a copy of More Than 36 Days. On May 20, Carron and the four veterans spoke and signed books with the Lakewood Elks. At the Parker Memorial Day Ceremony, they proudly lead the crowd in the Pledge of Allegiance.